If you’re interested in both a convertible and SUV for your next ride, then you’ll love the new Range Rover Evoque Convertible. 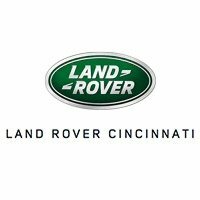 This vehicle provides you with utility and performance you’re looking for in an SUV, and you get the fun of being able to put the top down to enjoy the sun and breeze near Fort Mitchell, KY.
Why Buy a Convertible Evoque from Land Rover Cincinnati? 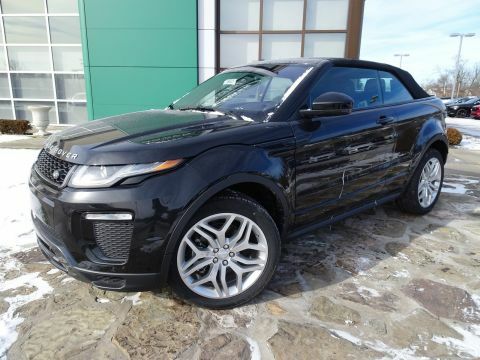 The Range Rover Evoque Convertible features an acoustic, insulated roof that folds down flush in just 18 seconds at speeds of up to 29 mph, so you can enjoy the top down whenever the weather is nice around Mason. The interior seats four passengers, and the front seats feature climate control options and luxury materials. The Land Rover InControl® suite keeps you connected and entertained. This SUV also provides utility and performance. All-terrain progress control helps you maintain a steady speed when driving over rougher or challenging terrain. The Convertible Evoque runs on a 2.0L four-cylinder engine paired with a nine-speed automatic transmission that delivers 237 hp. 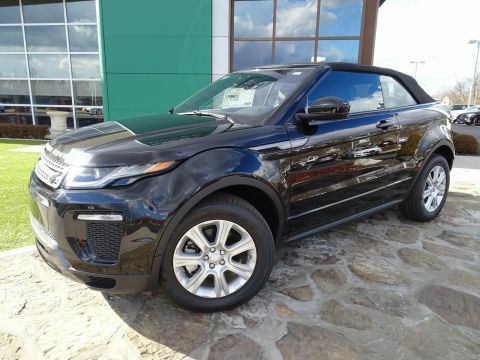 To learn more about the exciting Evoque Convertible, contact us or simply stop by in Cincinnati for a test drive.